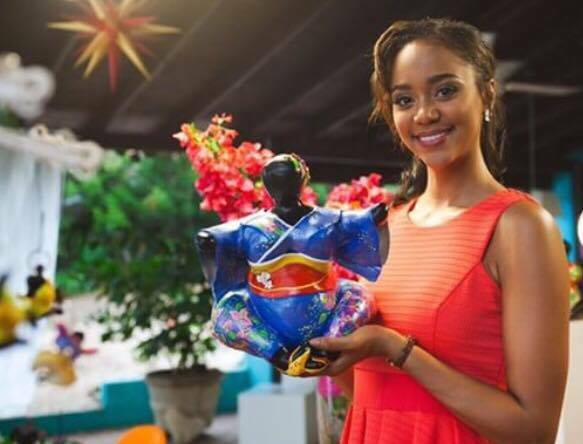 Our Miss Curaçao Chanelle de Lau presented Curaçaos national gift for the 57th Miss International Pageant in Japan. That makes us at Serena’s Art Factory very proud. “Chichi is a well rounded Caribbean figure created by Berlin born artist ‘Serena Janet Israel’. 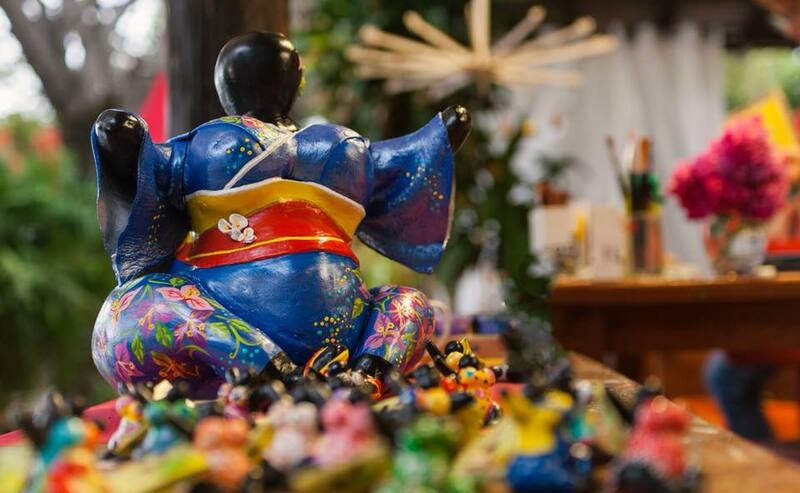 She is handmade and hand painted in bright Caribbean colors by local craftsmen and painters at Serena’s Art Factory in Curaçao and can be taken home as a delightful souvenir or an original piece of art. 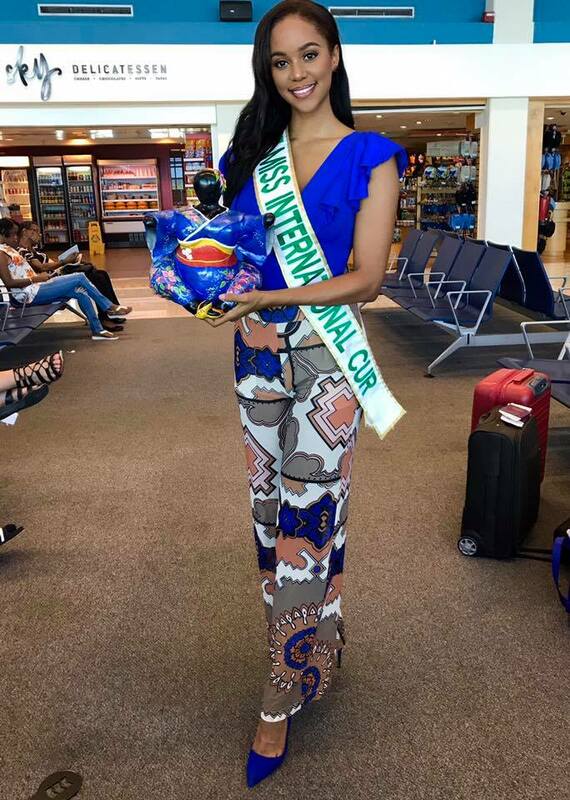 This Chichi in particular has a great journey ahead of her as she accompanies Miss International Curacao at the 57th Miss International Pageant in Japan! Her look was inspired by the Japanese culture with a great combination of typical Curacoean accents! Her kimono, as blue as the Caribbean ocean, is covered with Curacao’s Bougainville flowers in colors inspired by our Handelskade. The bright yellow and red colors in her ribbon also resemble strength and the hot Caribbean sun! Chichi is the Papiamentu word for ‘big sister’. She represents the eldest daughter of the family, who binds the family together in a loving and caring way. She is a much appreciated female role model in the Caribbean community of today and in many ways embodies characteristics that compliment the Miss International Organization.